Egypt has been awarded “The Best Bank” in Egypt for 2018 by The Banker Africa for the second year in a row. This award followed their receipt of four other awards from the foundation as the best retail bank, the most innovative and creative bank, and the best bank that offers internet banking services for its customers, along with their exceptional digital services as a whole. The Banker Africa confirmed that Emirates NBD- Egypt deserved being named The Best Bank in Egypt for 2018 for their excellence in providing innovative and creative banking services in the Egyptian market, and for succeeding in providing remarkable digital services, which lead to the winning of 4 awards from The Banker Africa. In addition to that, Emirates NBD- Egypt has been awarded “The Best Mobile Banking App – Egypt 2018” by the renowned International Finance magazine, which specializes in monitoring and following the most important economic and banking institutions around the world. Emirates NBD- Egypt was presented this award for introducing a breakthrough in mobile banking services. 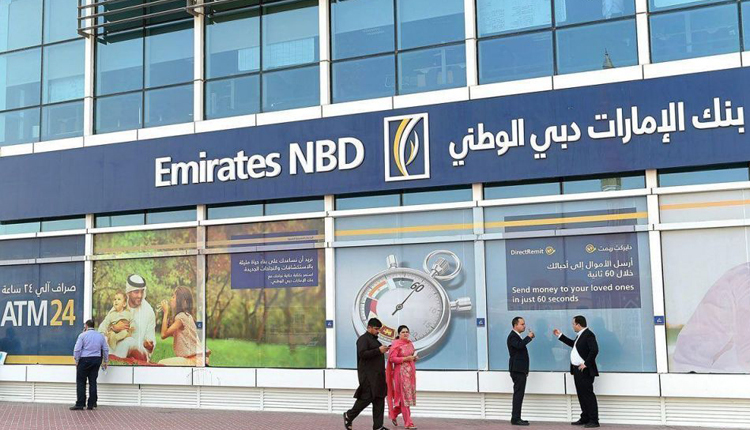 Emirates NBD- Egypt has also launched an electronic signature service to sign and send documents using “Digi-Sign” technology as part of the bank’s focus on diversifying the services provided to its customers and its desire to provide the best solutions and digital products. This comes as a result of the bank’s recognition of the value of time, convenience and efficiency needed by business customers. Emirates NBD- Egypt is considered the first bank to launch digital signature services which provides the highest standards of safety for business accounts. Emirates NBD- Egypt is recognized for being a pioneer in providing innovative banking and digital services to the market. The bank has greatly elevated the concept of mobile banking and already owns one third of the accounts of e-wallet users in Egypt which represents 3 million electronic wallet users. He also noted that he was very pleased to receive these awards from such large international institutions, which demonstrates the excellence of Emirates NBD- Egypt. He also pointed out that “The bank received the Best Bank in Egypt award from The Banker Africa after winning four other awards in the field of innovation, retail banking for individuals, internet services and digital banking products that Emirates NBD has pioneered in the Egyptian market. “Berro also stated that “The Bank’s success in winning Best Mobile Banking App in Egypt from the International Finance Magazine is due to the bank’s excellence in providing mobile banking services. This comes from the bank’s introduction of Smart Touch technology as an alternative to the secret number in dealing with mobile applications”. Berro finally said “Emirates NBD is distinguished in providing e-wallet services through mobile phones, bringing the number of customers benefiting from the bank to about three million customers, which represents one third of the number of users of electronic wallets in the Egyptian market”.